Free silhouettes! I begin this year in a state of high excitement. We have started filming “Silhouette Secrets” in earnest. This is my first foray into the world of film (apart from occasional TV appearances: Blue Peter, Tales of Tools, Big Brother’s Big Mouth etc.) I’m thoroughly enjoying the experience. The film is a 50-minute ‘indie’ TV documentary. The subject is the art and history of silhouette portraits. It is being produced by Andi Reiss and myself on something of a shoe-string budget. So far we have hosted a christmas dinner in a barn, filmed in the archives of the National Portrait Gallery and are about to take a train journey to Llandudno. I’m looking forward to having my silhouette cut on the pier! The idea is to look at successive generations of silhouettists, the times in which they worked and some of the Heath-Robinson-like machines they used. We hope to do this in a quirky and entertaining manner, filling the film with unexpected shadows and silhouettes. We are looking for help with various aspects of the film. Hence this email. The film does have a basic budget, however we are becoming increasingly aware of the need to include a trip to America. Silhouettes have a wider following there than they do in the UK. We have just launched a last-minute one-month crowd-funding campaign on Indiegogo, and are now looking for backers. There are generous ‘perks’ on offer from free silhouettes and digital copies of the film, to tickets for the opening night. We’ll roll out the red carpet for you, or perhaps it should be a black one? The campaign will run until the end of February, just in time for us to buy some tickets and head across the pond later in March. One of the reasons we really do need to get to America is to meet my friend Cindi Rose. Cindi is a silhouette artist based in Texas and the current holder of the unofficial silhouettist’s speed-cutting record, which (unbelievably) stands at 144 silhouettes cut in just one hour! Cindi has offered to host “Off With Your Head!”, a charity fund-raising event in Houston, where I will have the opportunity to challenge her record. I have no idea if I can actually do this! Whether or not I succeed the event will be a lot of fun and will provide a suitable finale – what Andi calls a moment of jeopardy – at the end of the film. A set of 50 silhouettes cut in just over 20 minutes, in preparation for Off With Your Head! Are you planning an event in February? 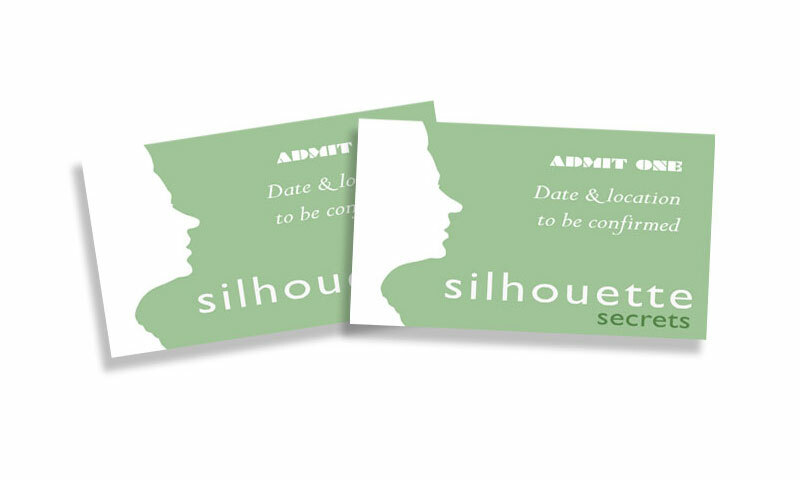 We are looking for a variety of suitable events to feature in the film and illustrate silhouette cutting in action. To this end I am happy to offer my services FOC at an event or two, provided I can bring the camera crew with me. We would like to use your event as a live rehearsal for the world-record attempt! If you are planning an event in the near future (or suddenly feel like throwing an impromptu party to take advantage of this offer) please do get in touch so we can discuss. Suitable events can be anything from a private dinner party to a large corporate event. Please help us by posting links to the Indiegogo campaign on your favourite social media. I’ve been updating our progress towards making a film on our Silhouette Secrets Facebook page and adding silhouette images (anything which might possibly be useful) to the Silhouette Secrets Pinterest feed. Look for Silhouette Secrets on Pinterest. It made our day to see our daughters face when she recognised Charles quietly cutting his fabulous silhouettes at her wedding. We had seen Charles at another wedding and we decided to secretly book it for her wedding. All the guests were blown away to see such a talent . The final picture sits proudly in there new house one year on. Amazing . Did you get the record? if not trying again ? Records and such are great ways to get more profile than any reasonable advertising or marketing budget could generate. Is there a context for best UK, world etc for this artform ? Cannot imagine what speed-cutting looks like. You should post a video! 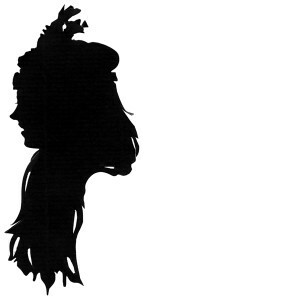 My Husband & I got married in 2014 & to have a silhouette artist at the wedding was on the top of my wish list …’you can’t quite believe what you are seeing , it is an amazing skill . All the guests were blown away. I throughly recommend this crowd pleaser .